I love a good everything bagel, it’s one of my favorite breakfast items. 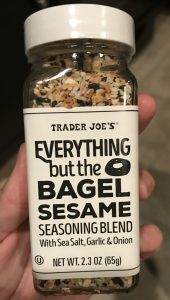 When I saw this everything bagel seasoning I just knew it was a match made in heaven. The possibilities are endless! 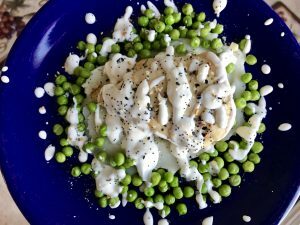 This easy chicken dinner is perfect for a weeknight, yet will still feel new and fancy, and all with only FIVE ingredients! Preheat your oven to 350 degrees. 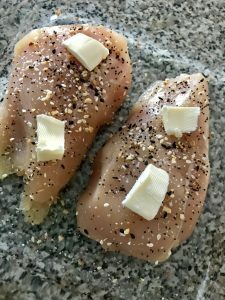 In a glass baking dish put 1 tablespoon of butter down, I like to break my tablespoons of butter into 4 pieces, coat your chicken breasts in everything bagel seasoning. Lay your chicken breast on top of the butter, and put another 1 tablespoon of butter (broken into 4 pieces) on top of your chicken. Bake in the oven for 20-30 minutes, or until cooked through and no longer pink, this may vary depending on the thickness of your chicken breast. While your chicken cooks it’s time to start your sauce. Over medium heat melt your remaining 1 tablespoon of butter, to that add cream cheese and whisk until combined and all melted together. Now thin your sauce out with a 1/4 cup of milk and turn down to low. 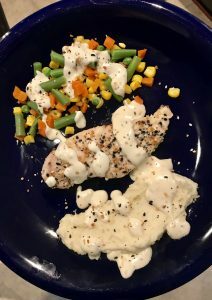 Once your chicken is cooked, top with a healthy drizzle of the cream cheese sauce and another sprinkle of everything seasoning. I really love to serve this chicken with mashed potatoes and vegetables. 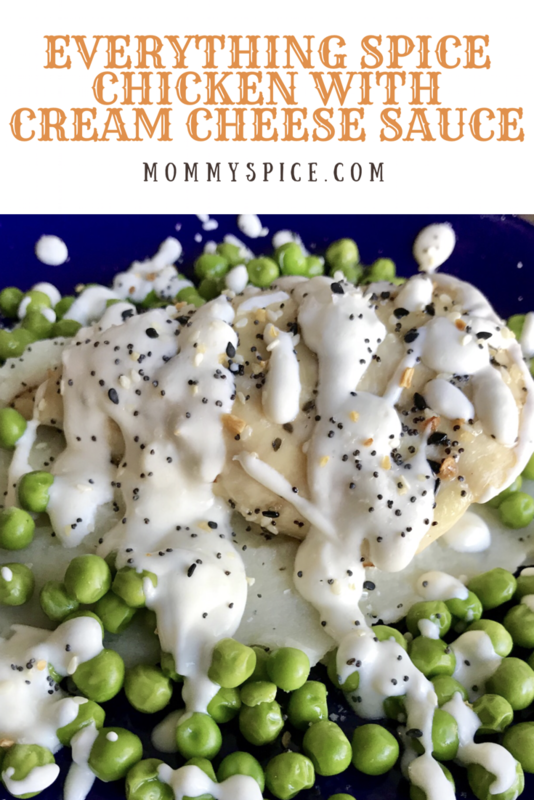 This sauce is so flavorful and I love the way it coats everything. My tip for this one is to occasionally whisk the sauce if its done before the chicken, the sauce can start to separate if left for too long. 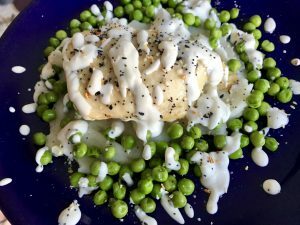 Now if you want to keep this dish keto, skip the potatoes and you are good to go! It’s all the flavoring of a delicious everything bagel in a savory chicken dinner dish!